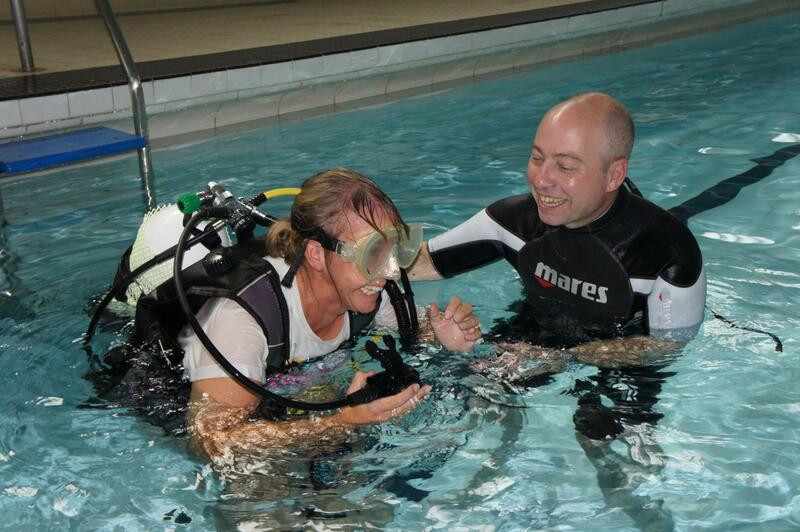 Lighthearted profile of dive centres or clubs from all over the United Kingdom. This issue it is the turn of Anglesey Divers in Holyhead. Number of dives to date: Well over 5,000. Not got an exact figure as my experience of early electronic dive logs didn’t go well, I lost hundreds of dives when a hard drive crashed! I got my first ever trydive with the BSAC branch attached to BP’s Research Centre in Sunbury On Thames in 1981. Within ten seconds of submerging for the first time I lost my balance and turned turtle. Lying on my back with arms and legs akimbo, I stared at the surface of the pool from the other side and thought this is amazing. I had just crossed a portal, albeit with the grace of a hippo. When I graduated I got involved with Bristol No.3 BSAC and the regional coaching team. 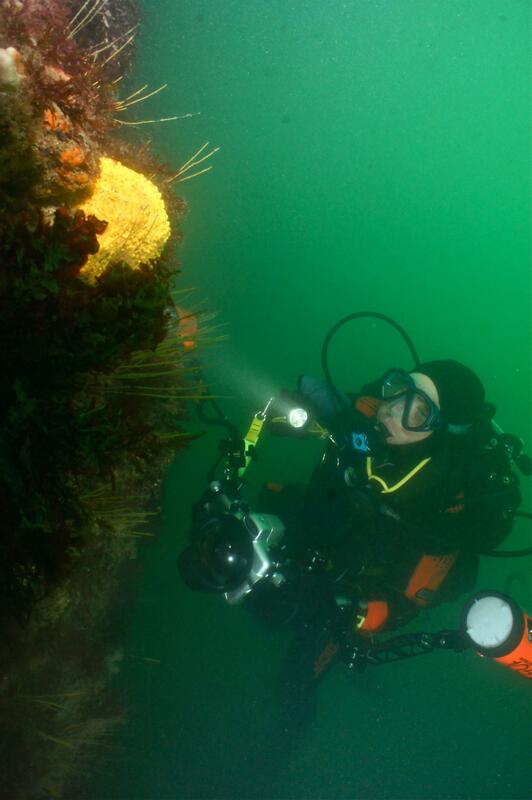 By 1988, I was being asked to help out and teach in dive schools such as Fort Bovisand and Poole Dive Centre, so in 1989 I took a gap year and went full time. 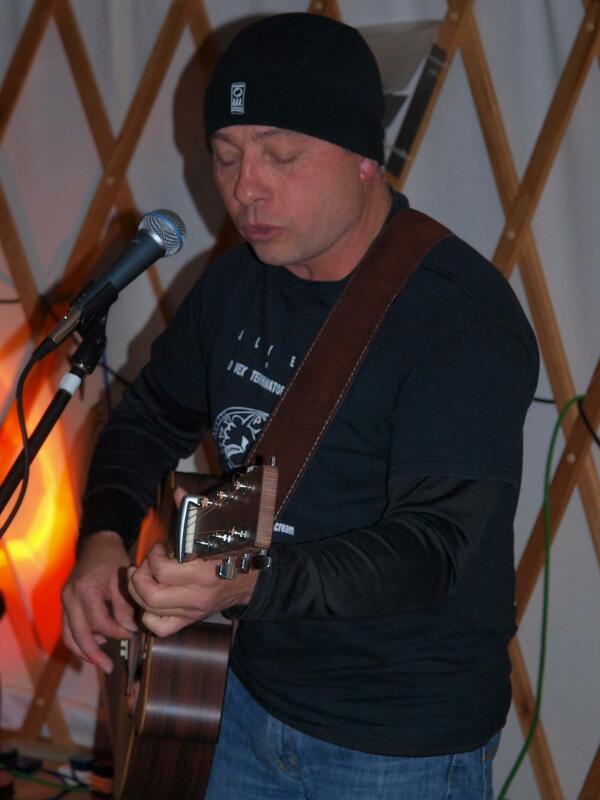 It’s been a very long gap year – 29 years and counting. Q: How would you describe your team at your dive centre? Q: What is your most-embarrassing teaching moment? A: As a newly appointed BSAC Instructor Trainer, I taught on one of the first BSAC Extended Range Instructor Workshops held at Stoney Cove. My trainee instructors were all very capable and I let them get in the water before me. I stood there in twinset and stage cylinders looking down at them; they floated calmly looking up at me. Then I said: “I’ll be back in a moment, my fins are in the car”! Q: What is your favourite place to dive in the UK? A: Tough question! I love UK diving, there is so much to see but if pushed I would say the Menai Strait. 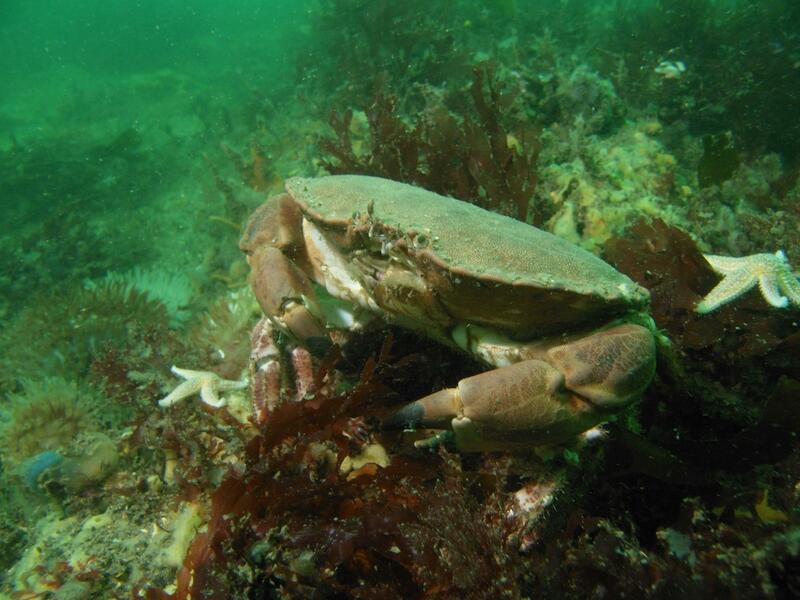 You have to be well-organised and disciplined to dive the Strait safely but because it’s easy to pick your depth, you can lead relatively inexperienced divers and show them the best of UK marine life right from the shoreline. 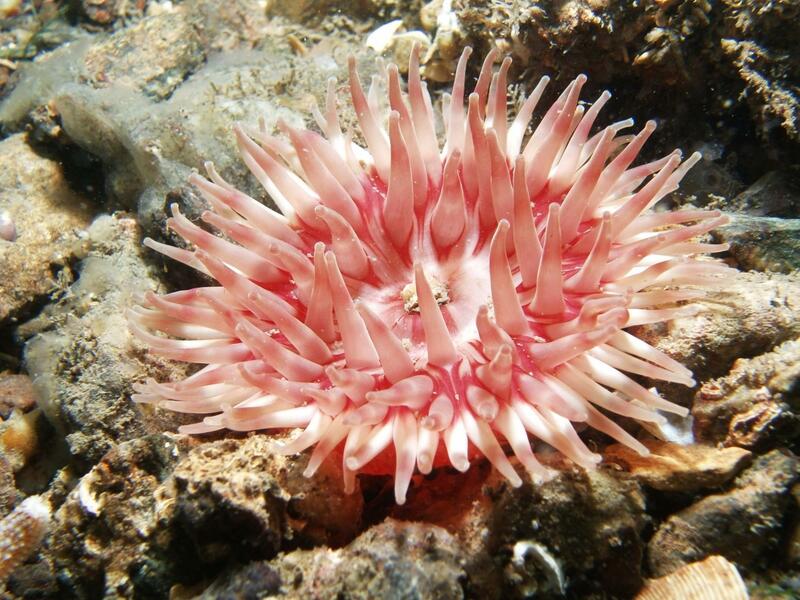 It’s a great place to hone your underwater photography skills as well. Q: What is your favourite place to dive abroad? A: Another tough one! Probably the Brothers in the Red Sea. Q: If you could change one thing about diving, what would it be? A: Make it more accessible to young people and ignite their passion and dedication for exploration as opposed to one-off adrenalin thrills and spills. Diving has been my life for over 35 years and there is much exploring still to be done, but I fear that there are not enough younger divers following on. Q: Who is the worst air-guzzler in your team? A: I’ve never really thought about it – we’re more concerned about turning our gas-guzzling students into models of grace and serenity. Q: Who is the biggest wimp out of the lot of you, and give a recent example. A: No wimps on this team! We don’t have problems either, we just have the occasional opportunity for character building. Then again, Samantha Clarke doesn’t do cold and she owns just about every type of drysuit undergarment known to man, including a heated vest. Not that I’m green with jealousy, just blue with hypothermia (Okay, I admit it, I think her KUBI DryGloves are awesome). Q: Who attracts the most attention, good or bad? 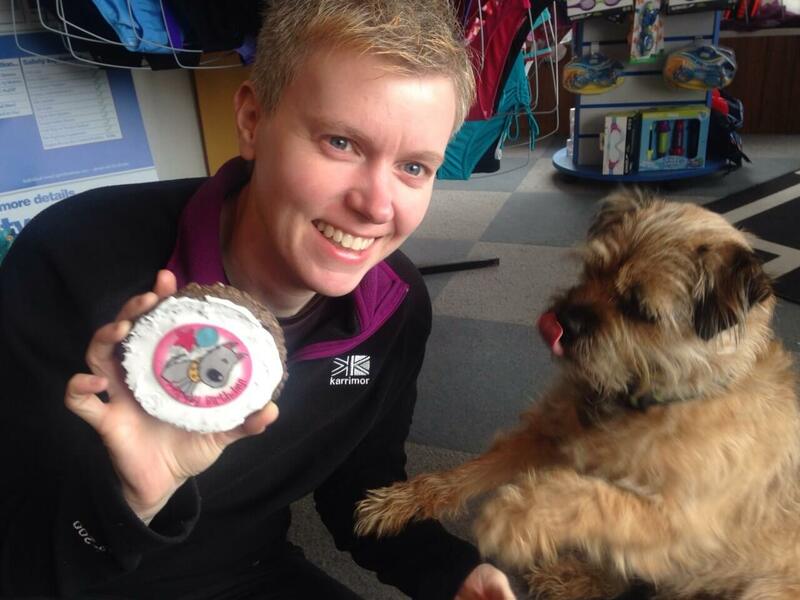 A: Bailey the team border terrier. Q: If you could teach a celebrity to dive, who would it be and why? A: Ronan Keating – I spent some time in his company in 2011 when he took part in The Swim, a relay swim across the Irish Sea. Not the strongest of swimmers, he nevertheless bravely began the swim in the dark at Holyhead and swam several legs in the Irish Sea, where he encountered lion’s mane jellyfish. We had a craic and it would be great to show him more of the underwater world. As it happens, he went on and took a diving course in the Maldives in 2014, but whether I could entice him back into the Irish Sea is another matter. Q: What’s been the biggest fear factor in your diving career to date? A: One summer’s afternoon in 1995, I spent 20 minutes on the surface drifting away from the dive site with the dive boat looking for me in the wrong direction. Despite having a bright SMB, the skipper of the boat couldn’t see it. I learnt a lot about redundancy that day – that it doesn’t just apply to your air supply, but also different surface location aids for different sea states and lighting conditions. We aim to run trips that suit a wide range of qualification and interest. Favourites have been Scapa Flow, Oban, Isles of Scilly, Channel Islands, Farne Islands and, of course, Anglesey. For many years, the Maltese island of Gozo has been a home from home – we have run 14 trips there in the last 20 years or so. The Red Sea, Gibraltar, Elba, Tenerife, South Africa, Cuba, and others have also featured. Some shore based, and some liveaboard – especially with the excellent Blue O Two crew. As with the UK trips, we appeal to a wide range of abilities, but perhaps with a bit more emphasis on the between-dives relaxation and top-side exploration. 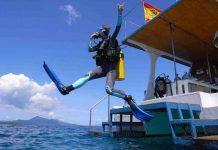 Dive shop, workshop, classroom, wet room and kit store, compressed air to 300bar, nitrox by arrangement. 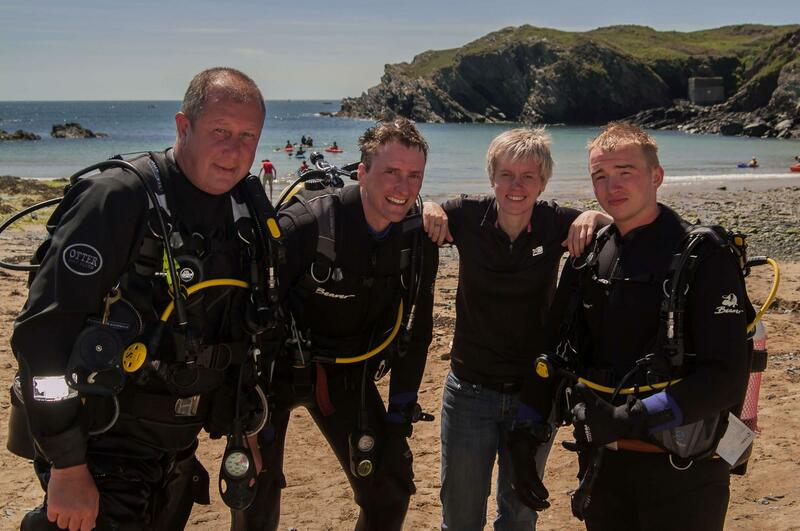 Anglesey Divers, 1 Church Terrace, Holyhead, Anglesey, LL65 2HP. 9am – 5.30pm Tues – Sat / Other times by arrangement. SSI and PADI from beginner to pro. Full kit hire available with modern Mares / Aqualung / Apeks gear. Air to 300 bar / nitrox to 232 bar. Over 20 years experience of servicing most brands of gear.